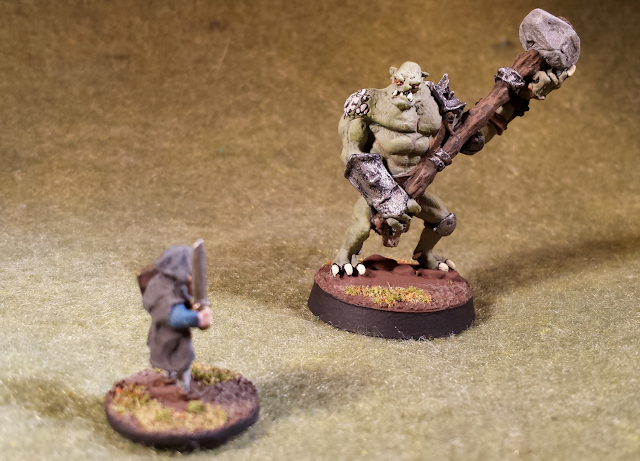 So despite his 28mm stature, this is in fact 15mm ogre and one of the largest minis I have painted in a long time. 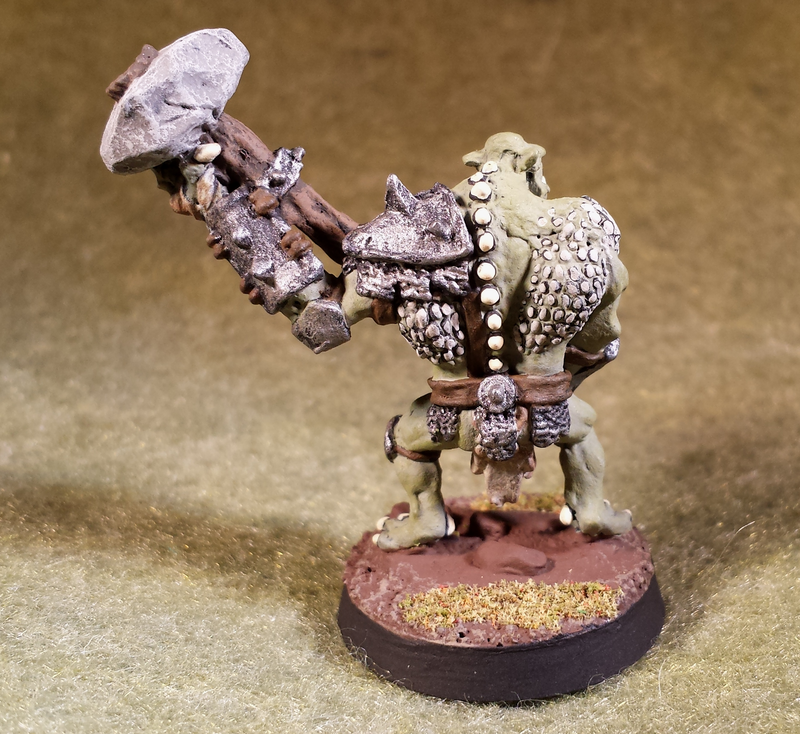 After a game where we encountered a troll, and used this ogre mini as a stand in I knew I would have to get him painted. 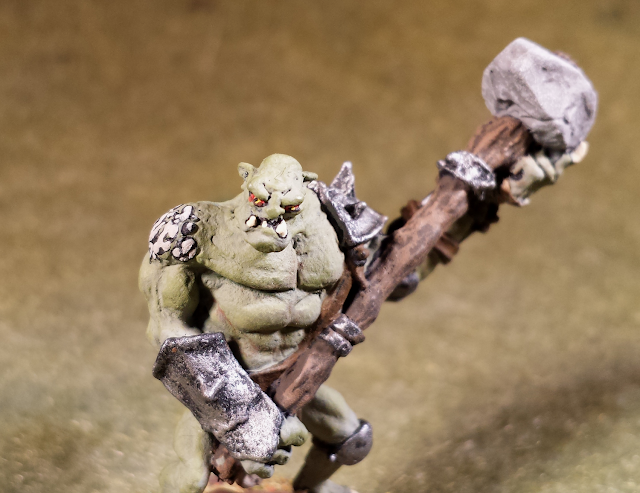 Well my practice and patience with 15mm has paid off. I discovered that my hand was steady enough to not only paint eyes but also irises. Notice the red eyes, with yellow iris and black pupils in the picture above. 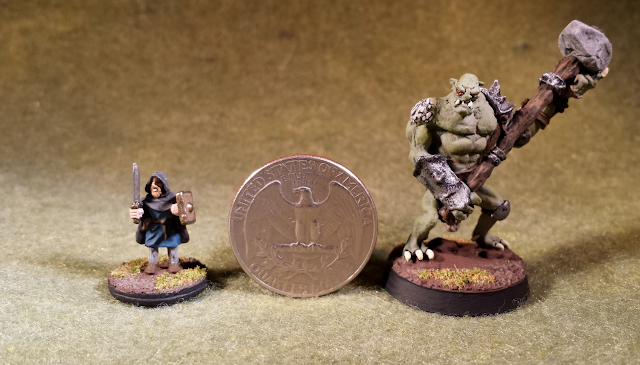 One of my favourite features of this mini is the really interesting scaling on it's back. It just looks so gross! I love it, and think really adds something to to the figure. 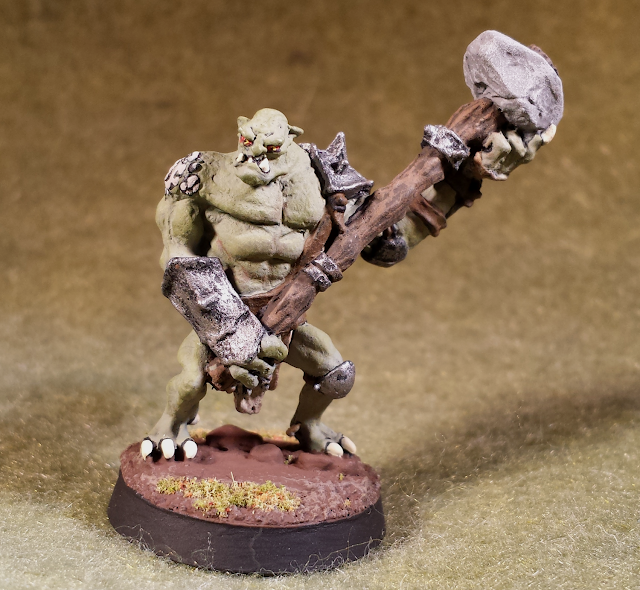 Good work Splintered Light Miniatures! Thankfully I was able to slay the beast with the help of three of my comrades, but it was almost a disaster, that would have ended with the party slain in the swamp. As soon as I showed the DM this painted he fell in love with it and promised to include an Ogre/Troll in another game... Which in retrospect probably isn't a good thing. Well either way you will see him on the table top soon I am sure!